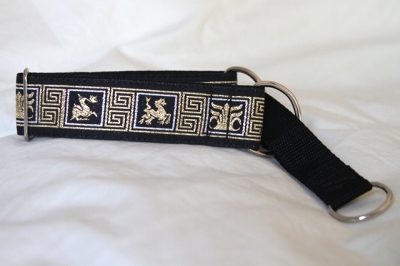 Standard martingale collar with stunning silver, black and gold dragon and Greek key design jacquard ribbon with a black background, mounted onto 1.5” webbing and a 1” strap. Finished with fully welded nickel hardware. Unlined.